10. Friday the 13th: Starting off my list is the game-changing slasher flick that foresaw the creation of one of the silver screen's scariest horror icons known as Jason Voorhees even if he does show up in the last 10 minutes of the film. While the remake isn't necessarily terrible, I've realized that it isn't exactly thrilling the second or third time I've watched it. Unlike the original, which always sends chills no matter how many times you watch it. 9. The Last House on the Left: The Last House on the Left is a 1972 classic that was a demonstration of violence coming out of the most unexpected places and was made by Wes Craven before he became the household name in the horror genre he is now. While the remake isn't necessarily terrible, it's just not as memorable as the original and never goes to places as dark as the original did, which makes it seem like a violent yet safer version of the original. 8. Texas Chainsaw Massacre: One of the best horror films that I have ever witnessed, Texas Chainsaw Massacre is a piece of genius because it is bloodless and all the killings happened behind closed doors, yet is remembered as one of the bloodiest films ever. When it comes to showing everything, the remake wins in that department as nothing is hidden. I remember being pretty shaken watching the remake, but I don't really see it having the timeless quality the original has. 7. 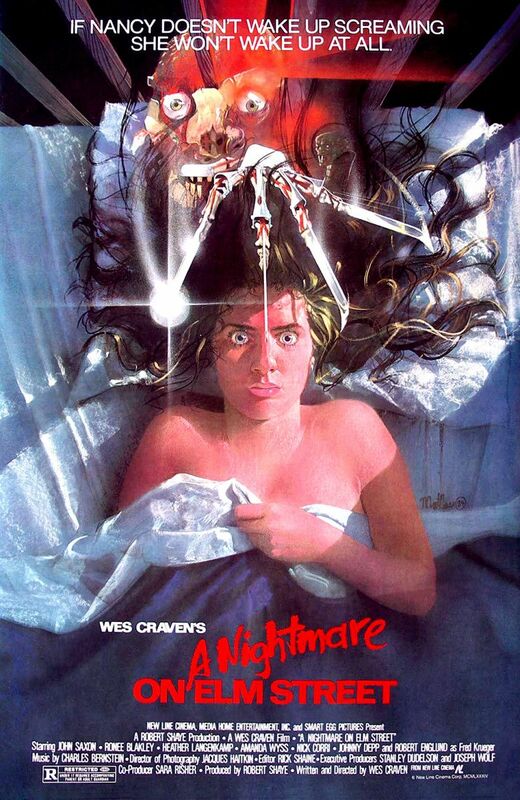 A Nightmare on Elm Street: Now, when the remake was announced, I was actually very excited because I am such a fan of the original, yet after watching it, I much prefer the original. The original gave us one of cinema's scariest horror movie icons, Freddy Krueger, and always terrifies me every time I watch it. If there is one positive about the remake, it is that it introduced me to the terrific song "All I Have To Do Is Dream" by the Everly Brothers. Everything else, I'm not so sure about. I'd rather people just watch the original. 6. The Wicker Man: Ever since the remake with Nicolas Cage came out, that film has become the subject of Internet memes and such, but I'll bet some people didn't even know that it was a remake. The original Wicker Man is a British film set in a remote part of the British Isles and involves human sacrifice like the remake and has a similar ending, but it is MUCH better. The original isn't necessarily scary, but it is one I've watched quite a few times. 5. 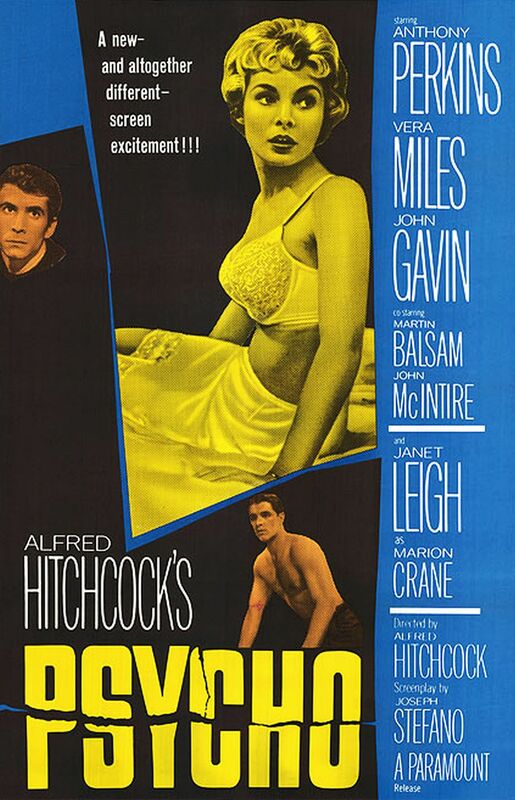 Psycho: We all know Psycho because of the infamous shower scene. Even those that haven't even seen the movie know about that scene, I'm sure. But those that have NOT seen it should definitely look to watch that and not the 1998 version with Vince Vaughn and Anne Heche. That one is just the original done shot-for-shot and is just a carbon copy you won't miss. The original, however, will make you look over your shoulder when in the shower after you watch it. 4. Prom Night: Like The Wicker Man, I have a feeling those that have seen the 2008 remake of Prom Night didn't know it was a remake. But it is a remake of a film released back in 1980 starring the scream queen herself Jamie Lee Curtis and Leslie Nielsen. Unlike the remake, which has a plot akin to the movie Fear, the original has a story akin to I Know What You Did Last Summer dealing with teenagers picked off one by one after accidentally killing a fellow student when they were children. But, if you were to call the remake something else, it wouldn't be any different as it bears no reference to the original and is nothing more than a mediocre cash grab. 3. 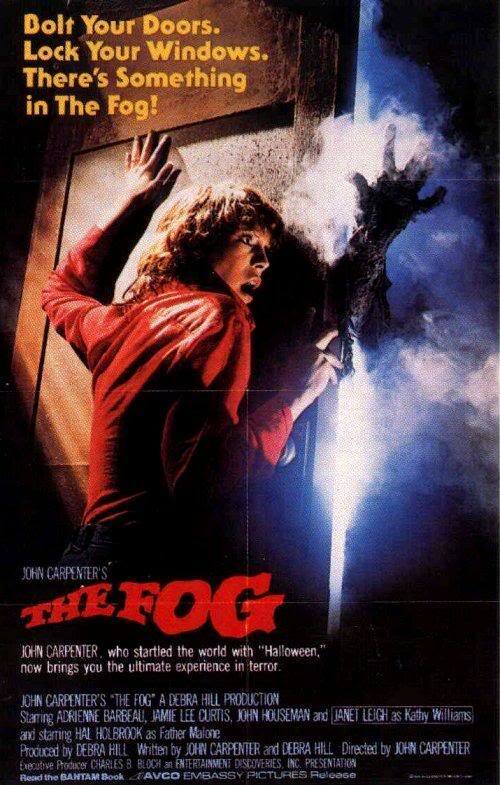 The Fog: The original version of The Fog is one of the scariest horror films that I have ever witnessed. The genius of it is that the monsters are hidden in the fog and when the killings take place and you still don't see the faces of the villains makes the film quite terrifying. The remake, however, is less terrifying than watching storms shown on The Weather Channel. It is simply atrocious and in no way matches the genius of the original. 2. When A Stranger Calls: The opening sequence in When A Stranger Calls is one of the scariest opening scenes in the history of cinema and not only features that, but a look into the life and psychosis of the film's antagonist. The remake, however, is just the first fifteen minutes expanded into a 90-minute film and whenever something scary doesn't happen, it just relies on cheap jump scares. Now, the original may not have offered a whole lot of scares after the opening sequence, but as I said, it still focuses mainly on the main antagonist, which rarely happens in horror films these days. 1. Black Christmas: I remember when I watched the original, I had trouble sleeping for a few nights after it was over. The original is a rather quiet horror film as when scary stuff doesn't really happen, the sound of wind blowing still makes you feel uneasy. Thinking about the remake, however, makes me feel uneasy just because of how god-awful it is. Holy crap, is the remake awful. I could go into reasons as to why it is awful, but I'd rather not. I would simply just say watch the original 1974 version and skip the 2006 version. So, that was my list of the top 10 old horror films that manage to outdo their remakes. If their is anything you'd like to add to this list, then please feel free to write your thoughts in the comments section. Thanks for reading!